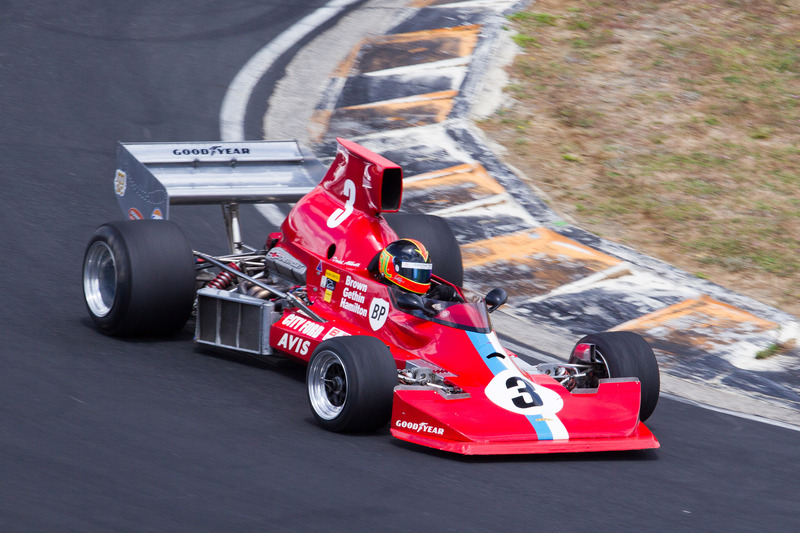 One of a number of Formula 5000 category originals to take up the offer of a demonstration drive in one of the MSC NZ F5000 Tasman Cup Revival Series cars at Hampton Downs in January 2015 was Belgium driver Teddy Pilette. 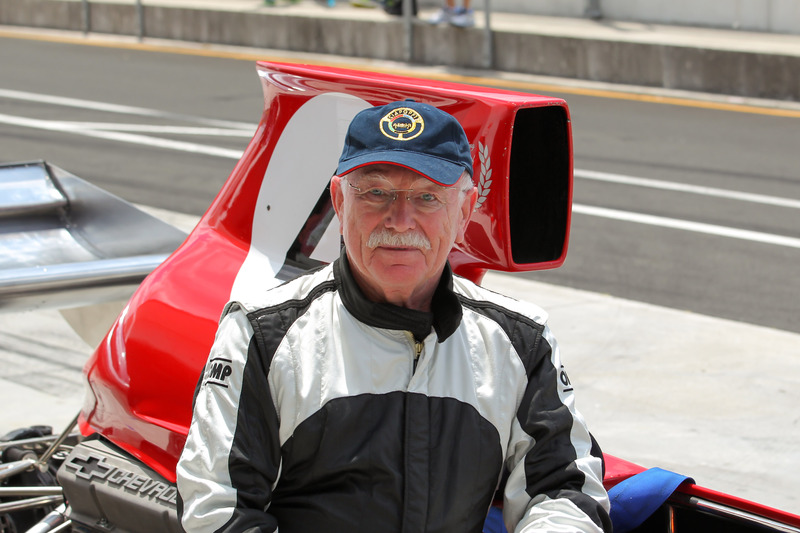 Now 73, Pilette is a two-time winner of the European F5000 championship (in 1973 and again in 1975) but is better known here for his exploits in Team VDS cars in the Tasman Series between 1971 and 1975. In 1971 Pilette finished sixth overall in debut down under behind the wheel of a McLaren M10B, with a best finish of third at Teretonga and second at Sandown. In 1972 he finished seventh (again in a McLaren M10B) with a best finish of second at Teretonga and third at Adelaide, then after skipping the 1973 series he returned in 1974 – with eventual series winner Peter Gethin in matching Chevron B24s – to finish third with a best finish in New Zealand of second at Wigram and a win at the Surfers Paradise round in Australia. Team VDS was a proudly privateer operation which still exists today. It was set up by the titled Belgian Count Rodolph (Rudi) van der Straten Ponthoz, who had family links with the Stella Artois brewery. The team was one of the mainstays of the F5000 category in both hemispheres for over six years with Pilette racing in Europe, the United States and Australia and New Zealand. The team was one of the last to leave the category, running Australian Warwick Brown in a Lola T430 as late as 1978. Only three T430s exist today and all three were at Hampton Downs for the Gulf Oil Howden Ganley F5000 Festival meeting. Pilette completed a number of laps in one of the two 430s owned by Christchurch driver David Abbott.